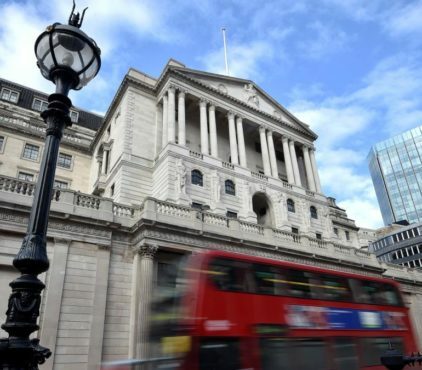 The Bank of England secretly warned the High Court in a private letter this year to prepare for a deluge of insurance cases aimed at resolving Brexit-related concerns. The Bank did not disclose the letter’s existence until yesterday, as it was worried that making it public earlier might have triggered panic among policyholders. The September letter was disclosed in the minutes to the financial policy committee’s November’s meeting. At issue are cross-border insurance contracts that will no longer be binding when Britain withdraws from the European Union. Without a legal remedy, European insurers will no longer be able to collect premiums or pay out on claims in the UK, and vice versa. At the moment, so-called passporting rules mean that policies are respected across EU borders. About six million UK policyholders with £20 billion of insurance coverage are affected, and 30 million EU policyholders with £40 billion of coverage. In the financial markets, £26 trillion of derivatives contracts also could be hit without new legal drafting. The Bank decided to contact the High Court because it had been told that companies “were planning either to secure new authorisations for existing entities or transfer contracts to a new entity with the correct permissions”. Both processes relied on a 12 to 18-month procedure and the Bank estimated that the courts would be inundated with “three to five times” the normal volume of applications. “There was a risk that transfers would not be completed in time,” the FPC minutes said. The Bank wrote to the court “to alert it to the potential for increased applications”. It raised its concerns with the Treasury and started work on “options to protect UK policyholders”. Since September, the Bank has been reassured by actions taken. The Treasury has developed options “to preserve the continuity of insurance contracts”, it said. As a result the risk of policyholder panic “had reduced”. Separately, the FPC considered forcing banks to hold more capital to protect against Brexit fallout and may yet follow up with the requirement. Last month, UK lenders were told to find an extra £6 billion to guard against possible losses and the FPC considered asking them to raise another £6 billion.